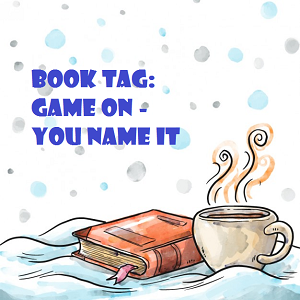 Book Tag: Game On – You Name It! I was nominated for this challenge by Sara @The Bibliophagist Thank you so much for tagging me! 🙂 This challenge was created by Rory at A Guy Called Bloke and K9 Doodlepip. Are you currently reading a book, if so what is it? Yes, The Poppy War By R.F. Kuang & Creative writing for dummies! Choice weapon for survival during the zombie invasion? Flamethrower, I always thought it is a very cool weapon against zombies! 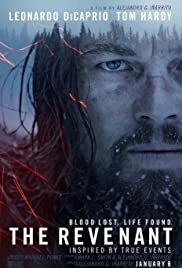 Comedy, I rarely watch Horror movies. Skinny dipping or mud wrestling? Neither, but If I have to choose then it is Skinny Dipping (And I had to google that). What was your favourite sweet/candy as a kid? I think it says something about me when my favorite candy is called Nerds! Going to the party or the library what’s your preference? According to whose party I am going, I prefer family/friends gathering every now and then, but if there are many new people, The library is my preference! What is your favourite tipple [drink]? I don’t drink at all. Literally nothing happens in those films and I fell asleep while watching them! If you could time travel anywhere, where would you go? Last year of high school to tell myself some really important things! I was very obedient, shy, quiet and smart! How important is personal achievement to you? I always have goals to do whether they are small or big, I strive to achieve these goals and then do the next bigger step! What’s the first sentence of the book that’s closest to you right now? Which 3 questions will you be deleting to add your own in? If someone wanted to make a movie about your family, who would you want to portray yourself, your parent(s)/caregiver(s), and your sibling(s)? Ok, you are going to be shipwrecked on an island that has food and water, what three items would you need to have with you? A tent to live in, Books so I wouldn’t go crazy and a phone to call for help! Where you do feel the most at peace? I once answered this question and my answer was An author or editor, I get to write/ edit books, work in one of the most supportive communities, Meet lots of readers and fans and leave something in this world. The three bloggers you are nominating are? If you would give your life a book title what would it be? Do you have a bookshelf? If yes, can you post a pic of it? Next Blogger Aesthetic Tag/ Revelations Revelations! Thanks for the nomination! This looks like a really fun tag, and I hope to be reading The Poppy War soon! And I’m looking forward to your review of The Poppy War! I will tell myself many things as to start reading earlier and to love medicine from first year. I will tell myself that it gets better and some things that are kind of private -sorry-. Seriously, who thought of that question?!?! I read the question many times to check if technology was banned but it was not so a phone to call, a tent to sleep in and read the book while help is on the way! Probably it is a good chance to start and finish the way of kings, lol! It’s the perfect chance to read The Way of Kings! Thank you so much for the nomination!! 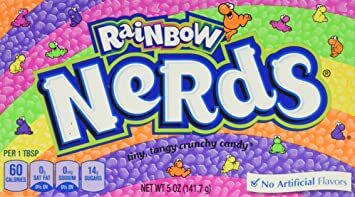 Nerds are currently one of my husbands favorites and I try to have them on supply, when he is studying. I cannot wait to read The Poppy War! I’ve heard such great things and I’m patiently waiting for it from my library. I might give up and just buy it! I hope you enjoy it. That proves how much of a good wife you are. I finished it this morning and it was so good, I read an e-book and will probably buy a paperback to support the author! That’s great to hear! I prefer to buy paperbacks. Hardcovers can take up too much space on my overstuffed shelves! haha. It’s the only reason I haven’t purchased yet. I’m starting to lose patience though! I know, I think hardcovers looks so good but they are hard to carry around and read and they take much space.